French midfielder Paul Pogba has posted a video of himself at the holiest site of Islam in Saudi Arabia, as he prepares to join his French squad for the World Cup next month. “Only the person that comes here can understand the feeling,” the 25-year-old Manchester United star said in an Instagram video from the holy city of Mecca. “This a beautiful place — beautiful, beautiful, beautiful. And the feeling… I cannot even explain to you"
The Frenchman posted the video of himself standing in front of the Kaaba, a black cube towards which Muslims turn for their five daily prayers. Pogba, who will be a key member of France’s World Cup team in Moscow, made a similar pilgrimage last year during the Muslim holy month of Ramadan. He told the BBC last week that he and his France team-mates must approach the World Cup finals with the right mindset, as that counts more than technical ability. The French — World Cup winners in 1998 and finalists in 2006 — are in Group C with Denmark, Australia and Peru and kick off their campaign in the Russian city of Kazan against the Australians on June 16. 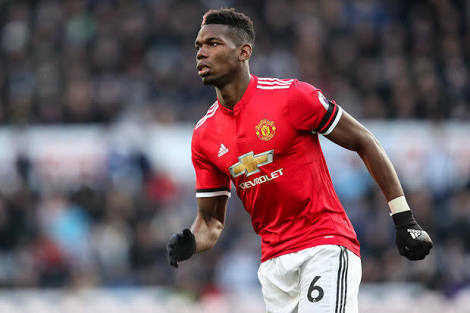 Away from the World Cup, and despite speculation over his future at Manchester United, Pogba is determined to lift the Champions League with them in what is his second spell there. Since his move from Italian giants Juventus in 2016, for which Manchester United paid a club-record fee of £89 million ($119 million), Pogba has won Europa and League Cup medals.